The mission of the Facilities Management & Campus Services Division is to provide safe, clean and functional buildings and grounds that are conducive to an educational environment. Facilities Management & Campus Services departments service three campuses on 91 acres. Detroit Mercy has 30 buildings totaling over 1.5M square feet, including various athletic complexes and six residence facilities. The School of Dentistry is located at the Corktown Campus and the School of Law at the Riverfront Campus. The Riverfront Campus is home to our oldest building that was built in 1890, while the McNichols Campus has several buildings that were built in the 1920's. 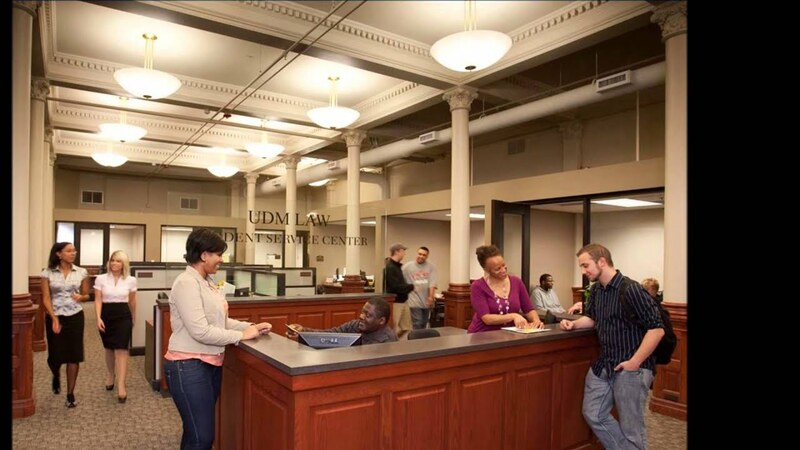 Our historical facilities certainly present a challenge, but at the same time they are a great reminder of the wonderful traditions of University of Detroit Mercy. Facility Operations a number of departments and functions on Detroit Mercy's three campuses, including construction management, groundskeeping, maintenance, plumbing, electrical systems, waste management and more! University Services oversees Dining Services﻿, Bookstore, Student Fitness Center, Event Coordinating and Vending. We are located in the Student Union, Room 210, right outside of the Ballroom.